Please install the NVIDIA driver before installing or updating the Jedox Suite. Use of the latest driver is recommended. The -g option refers to the ID that appears to the left of the GPU name. Change it accordingly. Reboot the system after performing the change. Download the .run file driver installer. You have to first install the Linux kernel headers and the build tools of your distribution to run setup. If the “nouveau” module is loaded on startup, this module has to be blacklisted. 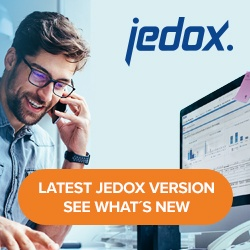 Use the Windows Jedox Setup file from the official Jedox website. In the “Final options” setup dialog, select “Enable GPU Accelerator”. This option is only selectable if a supported GPU card was found. Activation will be done automatically during the installation process. to the palo.ini configuration file. Start the Jedox Suite. To further enhance the performance of the Jedox GPU Accelerator up to 100%, we recommend modifying the operating system’s power options. Choose “High performance” (maybe hidden under “additional plans”) or generate your own plan and enter the “Change advanced power settings” dialog. Set “Processor power management > Minimum processor state” to “100%”. In addition, you can set the “PCI Express > Link State Power Management” to “off”. This command specifies maximum <memory,graphics> clocks that define the GPU’s speed while running applications on a GPU. Note that the command only works on Tesla devices from the Kepler+ family. See NVIDIA System Management Interface for details.